In honor of the 173rd birthday of our namesake, William F. “Buffalo Bill” Cody, the Buffalo Bill Center of the West extends FREE admission to all visitors on Sunday, February 24, 2019. Our resident printer, Mike Parker, will be set up in the Buffalo Bill Museum by the printing press. Visitors can join Mike for instruction on printing, and print out their own names using his small press. Take home your work as a souvenir! Our celebration at the Center is just one of the events in town centered around Buffalo Bill’s birthday. 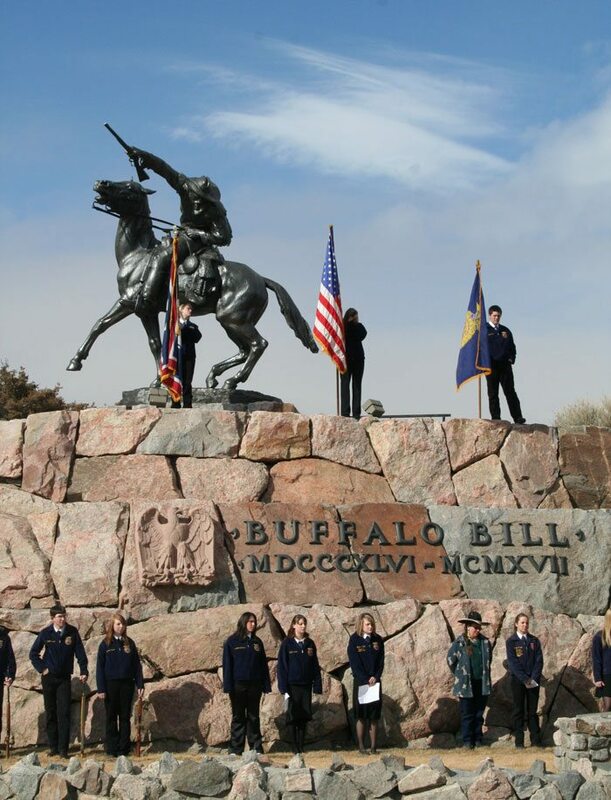 The Cody High School FFA chapter hosts its annual wreath-laying ceremony at Gertrude Vanderbilt Whitney’s sculpture Buffalo Bill—The Scout on Tuesday, February 26, 2019, 11 a.m. The Buffalo Bill Birthday Ball, a charity event organized by the Knights of Columbus, takes place on Saturday, February 23, 2019. Attend to enjoy dancing, dinner, live and silent auctions, and turn-of-the-century dress at the ball.